What is a good coffee? While for some the question might hinge solely on the brew itself as if brewing were simply a product of nature, for others the goodness of the drink is tied to place, to a coffee house or cafe and the people who go there. The Cafe Ayllu is such a place. 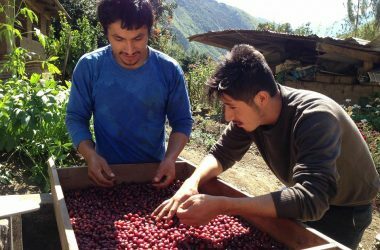 Not only is its coffee good tasting, it can be sipped in surroundings that invoke much of Cuzco’s world but which also, true to its name, is a gathering place for the city’s residents. The word “ayllu” is an ancient word and refers in Quechua –the language of the Incas– to the countryside surrounding Cuzco, and still one of the languages of this city– to people coming together in common activity. Ayllu is a community: perhaps one of kin but certainly (as Allen notes) one of shared work, shared celebrations, and especially shared connection with the land and its sacred shrines. 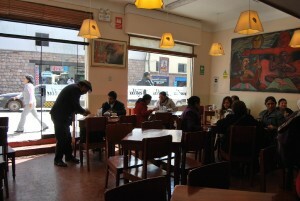 Cafe Ayllu is a Cuzco institution of lang standing. Founded some forty years ago, it came about in a city in the midst of rapid change. The old haciendas that had been the base of a fairly stable –if contested–urban society grounded in the countryside were ending as the left-leaning military government carried out an agrarian reform. And the city was growing. Families had left the city core and moved to new suburbs while more and more migrants were coming from the countrysides and neighborhoods of adobe homes sprouted like mushrooms after a rain on the city’s hillsides. Tourism was undergoing a boom and drawing ever more foreigners, making the city a powerful economic magnet. It was changing. Cafe Ayllu grabbed that moment and named itself well. It spoke to the hopes for continuity in a common community and a new kind of gathering place, an urban cafe, where like the murals on the original Cafe Ayllu walls Cuzqueños could come together and be embraced by a figure from the earth. The name joined the ancient past, the new rural communities that replaced the haciendas, and hopes for a solid, utopian future together. It did so well. Located for decades on the main square, the Plaza de Armas, under the Portal de Carnes to the side of the Cathedral, Cafe Ayllu was a place where one could sit and watch the city’s life–its processions and politics–go by. 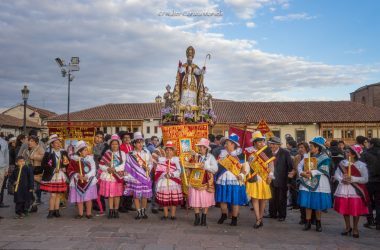 It celebrated the hopes of the city, with its carefully prepared, Cuzco-style drinks, pastries, and sandwiches, its art, and the classical music–symphonies–that played from its sound system. The Cafe Ayllu became a symbol of Cuzco. It presented that mix of international urbane and local quality that made place. It still does. Though no longer on the Plaza, after a well-publicized squabble with an Archbishop who wanted a different mix drove it out. The Ayllu was slated to be replaced with Starbucks and its corporate effort to make a universal coffee house with the same brew and the same style everywhere on earth, including its mix of Putumayo (Andean) music on its loudspeakers. But the Starbucks jeremiad failed due to popular protest. Still the Ayllu had to find another place and it did. Now it is dual, one a two-story cafe on the increasing popular Marquez Street, and the other on the Almagro Street. 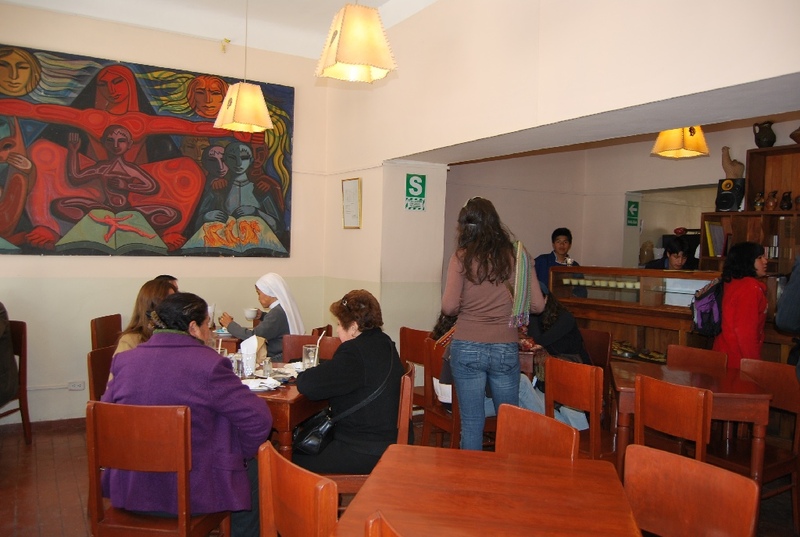 This latter still shows the old art of the walls, has the same staff as before, and by five pm is so filled with Cuzqueños that there is a long wait for a table as it bubbles with talk and laughter. 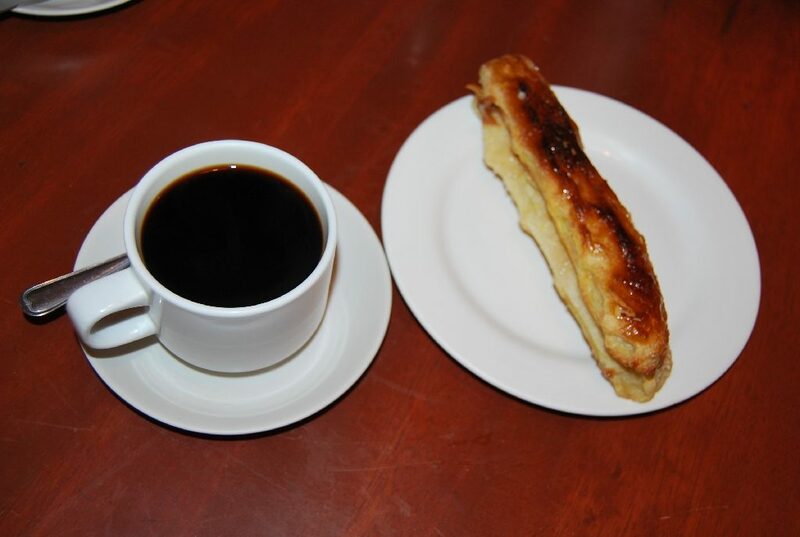 The Ayllu still had Beethoven on the speakers and it serves Cuzco-style pastries and drinks. 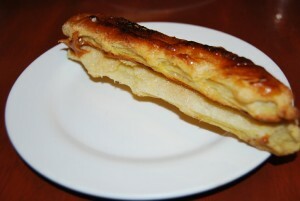 Rather than international scones and cookies–ostensibly the same everywhere–or the slightly burned and bitter taste of Starbuck’s “quality” roast and brew, you get lenguas de suegra (mother-in-law’s tongues), long puff pastry tongues with filling, leche asada, a local style flan (custard), and coffee brewed with orange peel or hot chocolate from local cacao. To order coffee is not to get a disposable cup with a “sleeve” to keep you from burning yourself with the overly hot drink. You can’t order any of the Starbuck’s-invented “frappuccinos” of blended ice, coffee, and whatever from late teenagers or twenty-somethings. Instead you will get a ceramic cup brought to your table by a middle-aged waiter who has worked at Cafe Ayllu for decades and recognizes and greets the customers, including returning tourists such as myself, personally. The cup is filled with hot-enough water, not overly hot water, or hot-enough milk. To the side is a beaker with espresso like, “essence of coffee” which one adds to the cup at the table to get their own desired darkness. Corporate, gourmet, universalism may be in-style. Though Starbucks never got to the Plaza, McDonalds did. Surely some other international fast-food chain will nestle itself up against the Cathedral to make the Archbishop’s coffers go pitter-patter. And, Lima investors will continue to plop international and novo-Andean restaurants wherever they can in the city’s heart. 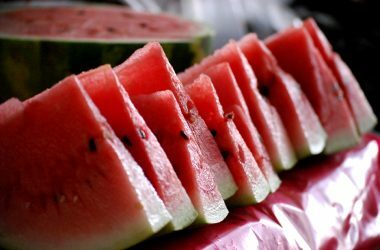 But Ayllu will continue with its home-grown and homey brews and food. LIke pictures of mom in the kitchen, they combine memory with the family’s gathering at the table. The mural on the wall shows an earth figure embracing the people. 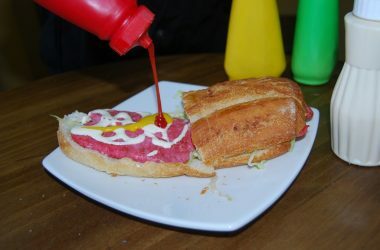 Cafe Ayllu has become that protean force that keeps its people going. Here is a documentary in 2 parts, subtitled in English, on the Cafe Ayllu, its food, and its history.